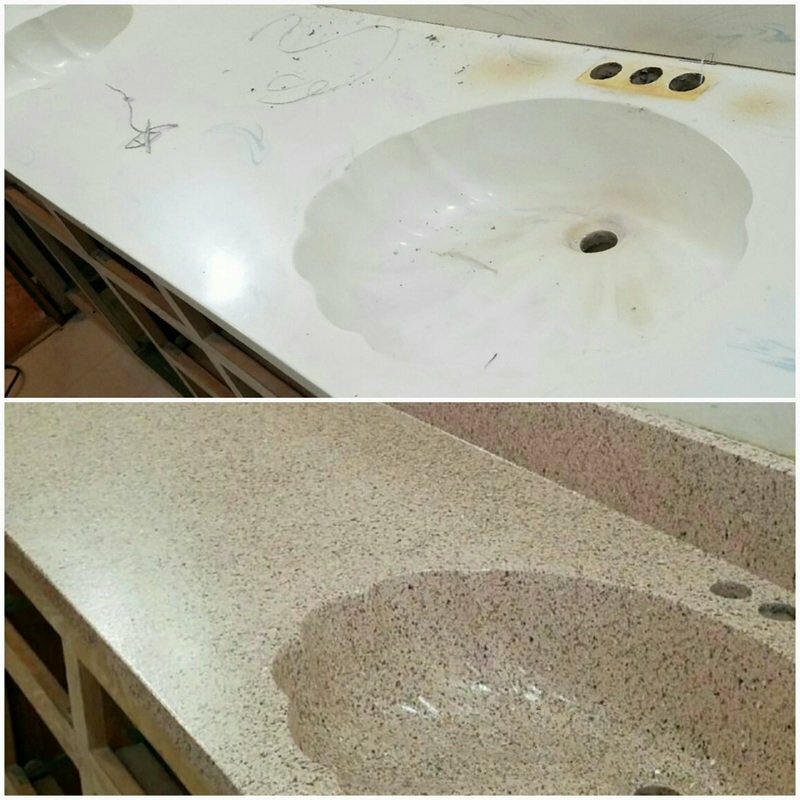 Renew Resurfacing is the elite bathroom vanity resurfacing business and the surrounding area. 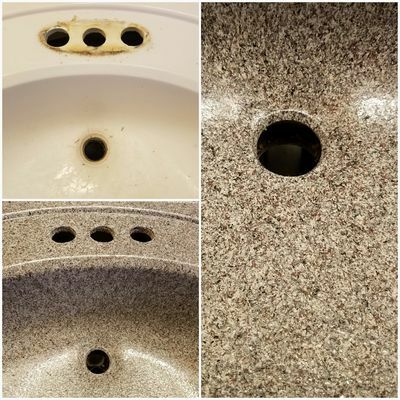 Renew Resurfacing’s cutting-edge restoration process can transform your outdated and worn out bathroom vanity into a vanity that looks like it had just been installed. Our team of professional renewal contractors can resurface your vanity to look like you had a new one installed for about half the price of a full tear out and install of a new vanity. 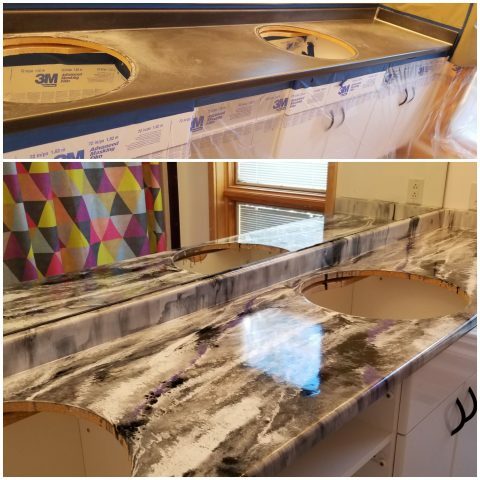 Renewing a vanity is a time saving, money saving, and hassle saving way to get a new looking vanity. Many people feel as if their bathroom vanities are outdated and in need of a revamp. 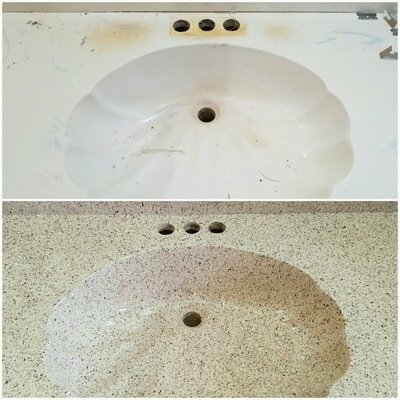 At Renew Resurfacing we are here to help. 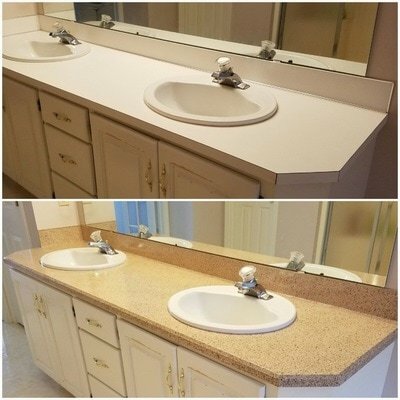 Our expert bathroom vanity staff can transform your existing vanity into what looks like a brand-new bathroom vanity. 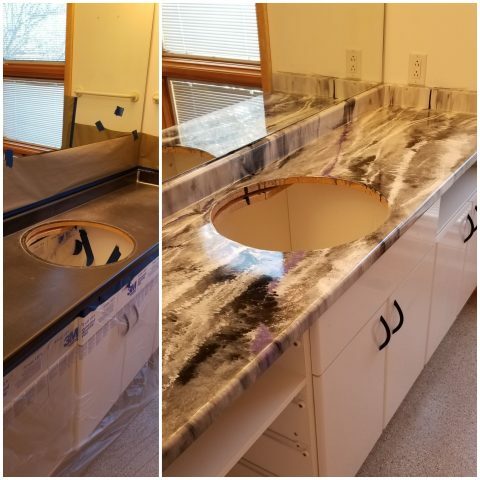 If your bathroom vanity has a dated color and you’re looking to update the color, the design team at Renew Resurfacing can help you find the best color to give your bathroom vanity a fresh refinished feel. 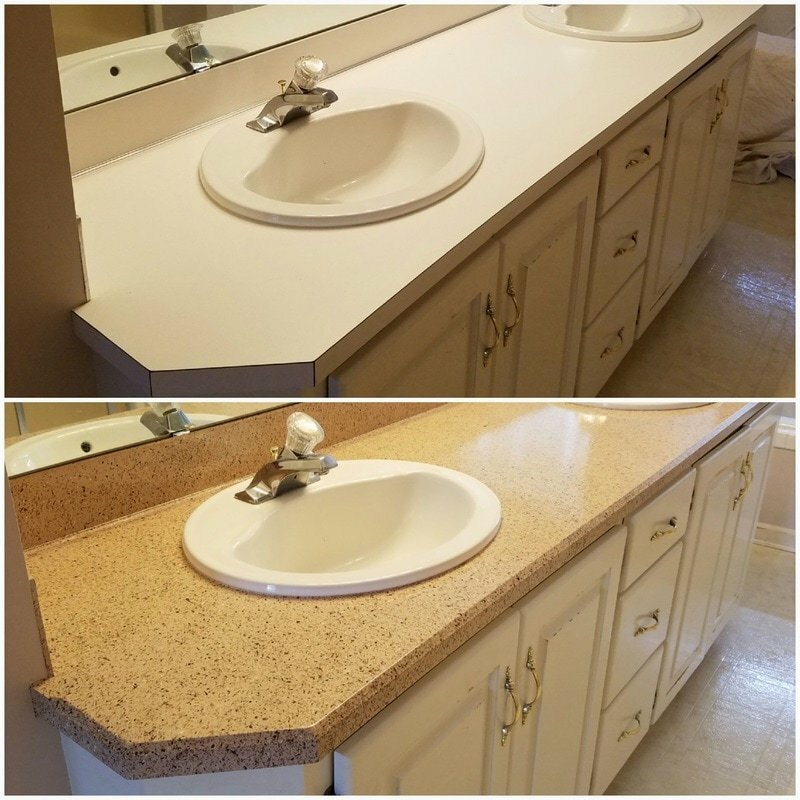 Renew Resurfacing can change the color of your bathroom vanity with ease. People may feel that their bathroom vanity is too broken down for their liking. 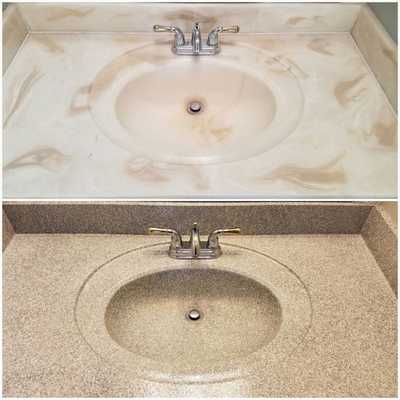 Instead of getting a new bathroom vanity call Renew Resurfacing and have your bathroom vanity resurfaced. 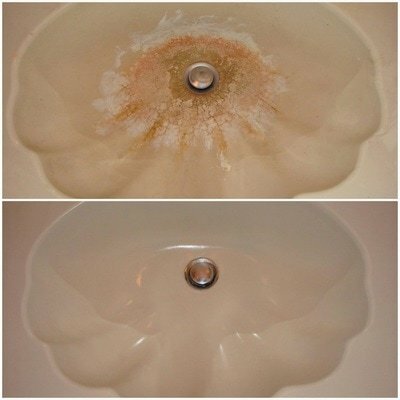 We can easily fix those minor cracks and crevices and restore that pristine look and feel to your bathroom vanity. At Renew Resurfacing, the possibilities for your bathroom vanity resurfacing are endless with our customization options. 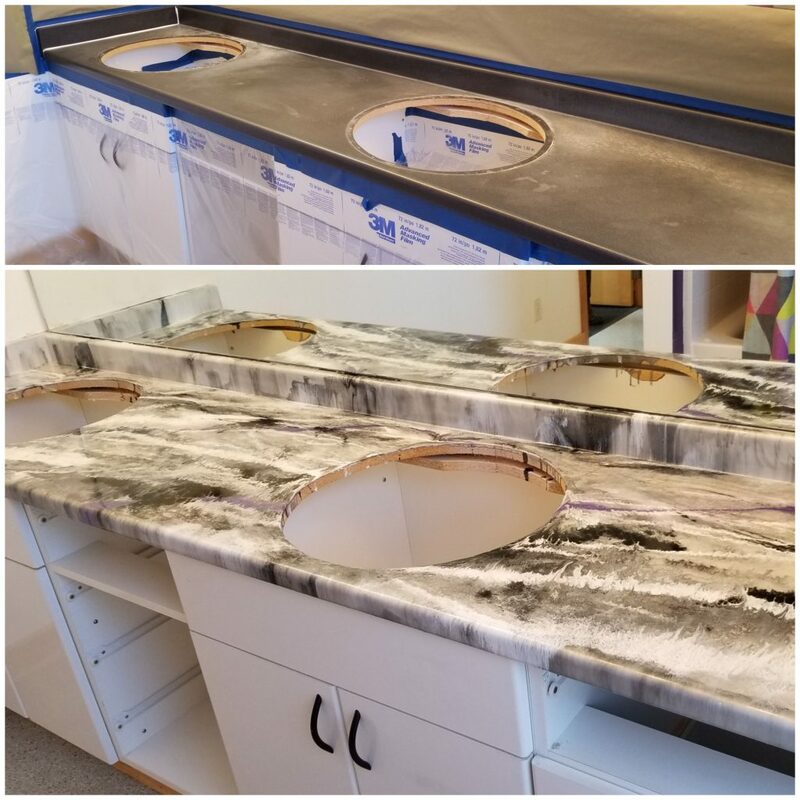 Our seasoned staff has the skills and the tools to change a solid white vanity into a speckled stone colored masterpiece of a vanity. We can transform a boring outdated bland laminate countertop into a spunky new granite looking countertop. 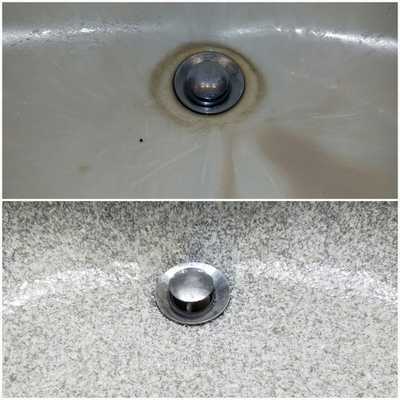 We can do this with Renew Resurfacing’s revolutionary new Stone Flecks™. Stone Flecks™ come in a wide variety of designer colors to fit into any bathroom. 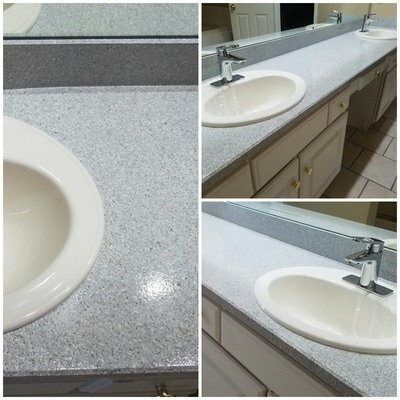 Renew Resurfacing’s revolutionary Stone Flecks™ add another element of customization to any bathroom vanity resurfacing. 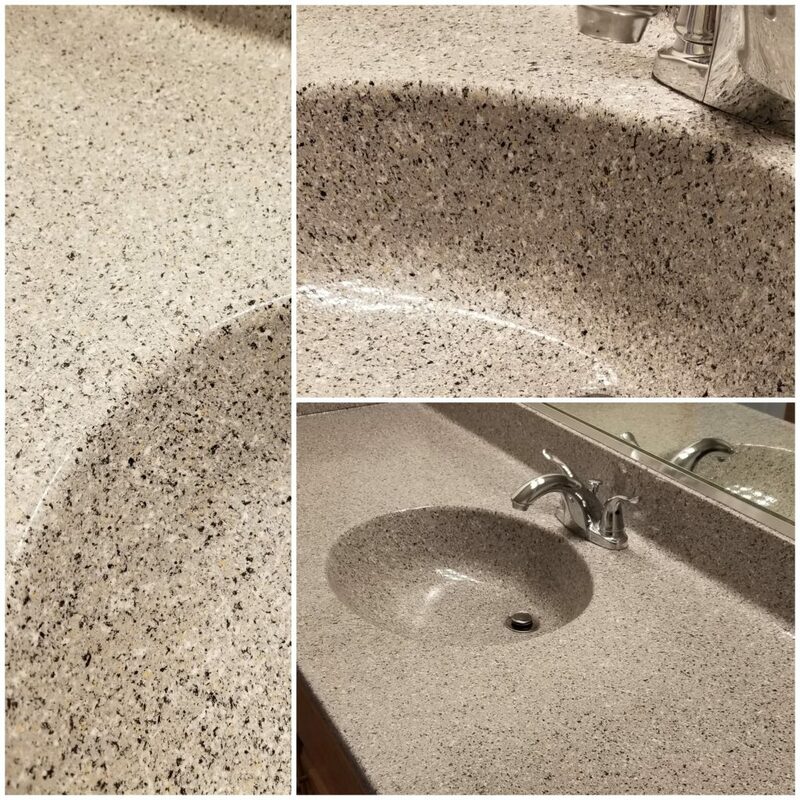 Stone Flecks™ are designed to look like granite or Corian®. We offer 22 different colors and designs of Stone Flecks™. These colors range from white vein, granite, to limestone, and everywhere in between. 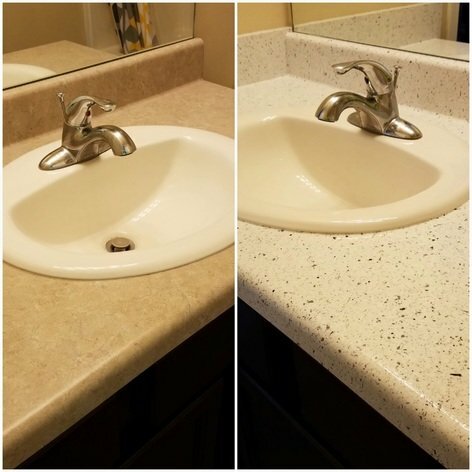 With Stone Flecks™ you can get the look and feel of an expensive vanity, while paying half the of a traditional tear out and replacement of a bathroom vanity.